Tropical storms such as hurricanes should certainly be given major respect, considering their ability to cause a great deal of damage when they are seriously strong. With that being said, however, hurricane season should not be a deterrent to enjoying a well-deserved getaway in Mexico, especially in a destination like Puerto Vallarta! Situated along the glittering waters of Banderas Bay, this charming city is fortunate to remain relatively unscathed when most hurricanes threaten the region’s coastline. 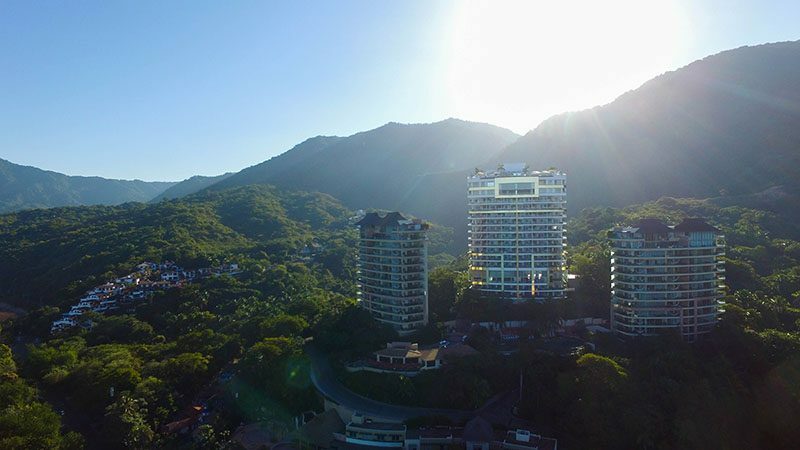 The bay, as well as the lush mountains that envelop it, provides an extra barrier of natural protection that makes Puerto Vallarta one of the safest places to visit on Mexico’s gorgeous Pacific coastline during hurricane season, which typically runs from June through November. Storms in the area should always be taken seriously, but they generally do not pose any major risks for tourists. For example, when Hurricane Kenna struck the Pacific coast in 2002, the powerful storm did cause flooding in Puerto Vallarta which led to some structure and vehicle damage, but it was not dangerous for visitors who were cautious and did what was asked of them to stay safe. 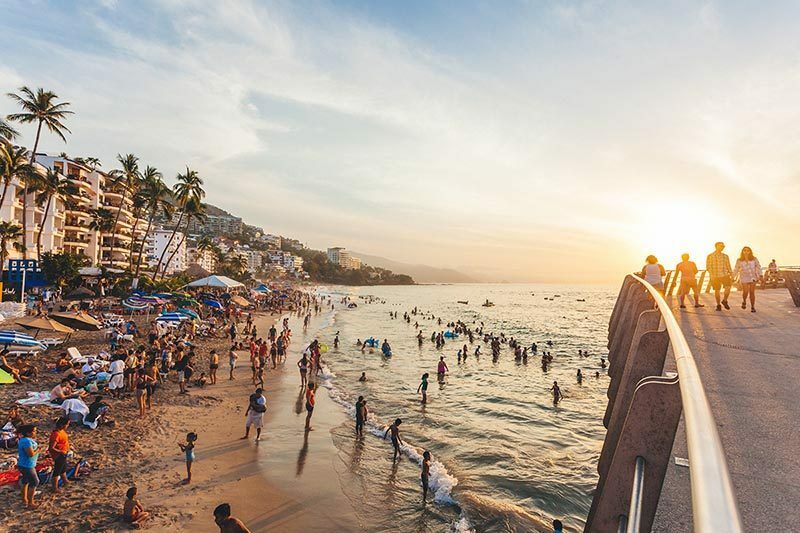 Many tourists who visit Puerto Vallarta frequently actually base their vacations around hurricane season because they can usually score amazing travel deals. Most resorts have lower occupancy rates during these times, so they are often happy to give travelers room upgrades, free nights or discounts around their property on everything from dining to spa treatments. 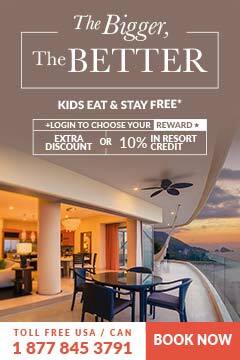 With fewer people around, travelers can look forward to a relaxing atmosphere where they can truly unwind. Although this time of the year does bring a lot of rain to the area, there are noticeable patterns to the rainfall, making it possible to plan most activities in advance. Most days see sunshine until mid-afternoon, when scattered showers often pass through. Due to the incredible advanced technology now available to help meteorologists predict and track storms, locals and tourists alike have plenty of warning long before any storm activity could actually strike land. Although Puerto Vallarta is rarely affected by hurricanes in a major sense, local officials always like to err on the side of caution and make sure that everyone in the area is safe and sound. This can lead to mandatory evacuations to ensure that both residents and visitors are out of harm’s way, although these occasions are infrequent. As tropical storms and hurricanes build over the Pacific and move towards land, Puerto Vallarta can receive significant rainfall and high wind speeds, which sometimes leads to flooding. However, these situations are normally not dangerous as long as the proper precautions are taken.